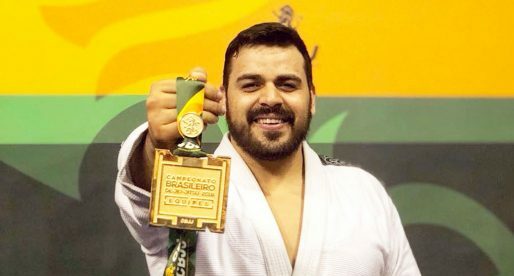 Alan do Nascimento, or “Finfou” as he is known in the Jiu Jitsu world, is an European Open Jiu Jitsu champion from the notorious Checkmat academy. 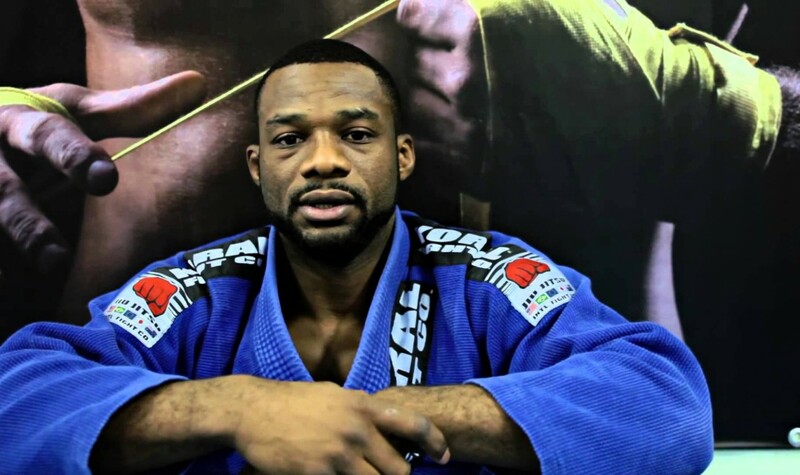 Alan Finfou started his Jiu Jitsu career with Fernando “Terere”, but as Terere moved away from Rio de Janeiro, his tuition was handed to Ricardo Vieira with whom he earned his black belt. Alan Finfou is also part of a group of successful competitors to have been developed from the social project in the Cantagalo (Rio de Janeiro slum), a project run by Ricardo Vieira, Finfou has for the last few years, adopted Sweden as his second home where he teaches BJJ. Association/Team: Checkmat – Vieira Bros Team Cantagalo. Alain “Finfou” do Nascimento was born on the 12th of March 1982 in Rio de Janeiro and raised by his mother in the “Jardim Catarina” one of the most dangerous slums of the city of Niteroi. Because of the dangerous life in this slum, his mother sent Alan to the “Favela do Cantagalo” a Rio de Janeiro slum so Alan could live with his grandmother. Life was hard in the “Favela” and Alan had to work and study at the same time to survive. One day as he was playing flippers at a nearby store when a local BJJ instructor asked him if he wanted to go and train at his academy. Finfou accepted (even though he didn’t really know much about Jiu Jitsu). That local that invited him was none other than Brazilian Jiu Jitsu legend Fernando Augusto “Terere” who had a social project in the slum to take kids off street crime through BJJ. Even though Alan was still in his early teens (he was 13 years old at the time), he immediately identified BJJ as a possible route to escape his hard life and started training as much as he could during the day while studying at night. In his first competition when he was a yellow belt, all his friends-team mates won and Finfou didn’t. That upset him, a feeling that fed his hunger to compete and push himself even further and served as a base to his competitive spirit today. Finfou stayed training under Fernando Tereré until 2003. He achieved his purple belt with one legend and shortly after began training with another legend, Ricardo Vieira, in Copacabana. 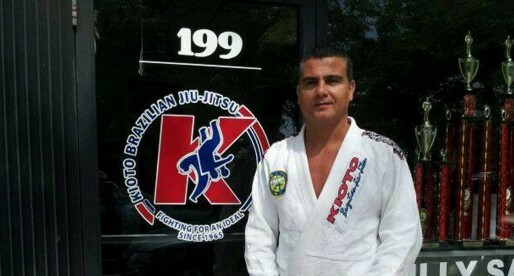 Even though Finfou was being extremely successful in competitions, there was little to no money being made through Jiu Jitsu and often he had to abandon training to work, but he could always count on his coach Ricardo Vieira to bring him back to the mats and convince him his future belonged in BJJ. He was awarded his Black Belt by Ricardinho Vieira in 2007. In 2005 he was contacted to start teaching in Sweden, he accepted the challenge and shortly after moved to there to help develop the “gentle art” in the North European country. He now travels often giving seminars throughout the World and going to train in Brazil and still teaching in Sweden.